The New Jersey State Library – Talking Book and Braille CenterNew Jersey State Library – Talking Book and Braille Center (NJSL TBBC) provided services to New Jersey’s print-disabled population. The term “print disabled” applies to any New Jersey resident who cannot see the words in a book or hold a book to read. 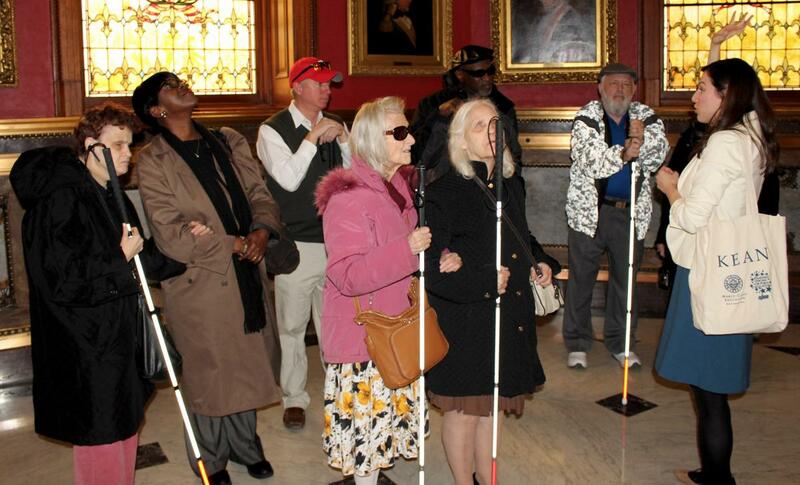 NJSL TBBC activities were enhanced via a partnership with the Library of Congress’s National Library Service (NLS) for the Blind and Physically Handicapped. In this partnership, NJSL TBBC functions as the regional library for the state. The Library also formed formal partnerships with the New Jersey Commission for the Blind and Visually Impaired, the New Jersey Department of Military and Veteran Affairs and the United States Veterans Administration. NJSL TBBC also worked closely with New Jersey schools and created partnerships with public libraries serving this special population. 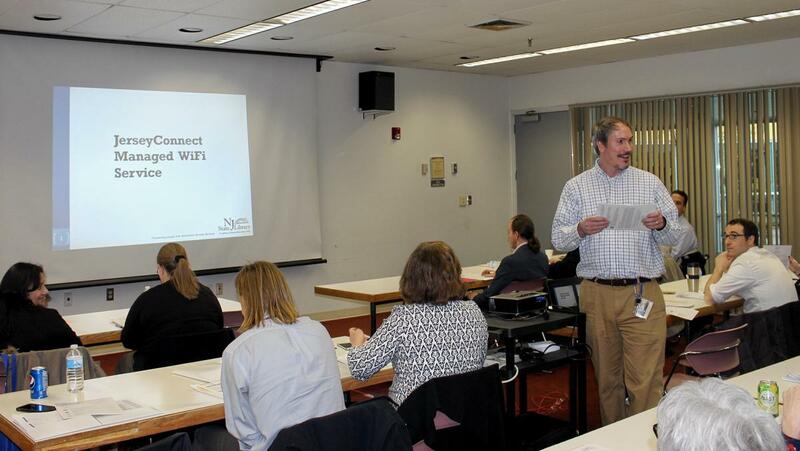 In the Fall of 2015, the State Library presented its “Literacy Boot Camp,” a four-part course attended by public librarians responsible for adult literacy programs at their libraries. Adult literacy instruction experts from universities, educational organizations and other public libraries shared their knowledge of best practices, program management, and volunteer training. Eighteen grants of up to $2,500 each were awarded in May 2016. These libraries expanded their collection with the purchase of nearly 2,500 titles, which included books designed to appeal to adult learners, GED and other test prep materials, and instructional resources for teachers. By attending the Literacy Boot Camp, libraries demonstrated their commitment to providing adult literacy services in the community. The grant funds further strengthened each library’s ability to serve these learners. Through JerseyConnect, public libraries in New Jersey can take advantage of new technologies while enjoying reliable internet connectivity. JerseyConnect offers a variety of free services to New Jersey public libraries, including web hosting, email hosting and management, email spam and virus filtering, cloud storage, domain name hosting, wifi management and consultation on technology projects. Services available to connected libraries include high speed internet access via fully redundant and scalable statewide network infrastructure, router management, bandwidth reporting, full service Cisco firewall management, virtual server hosting for ILS (proprietary or Open Source), device and circuit monitoring with notification, and QoS guarantees for services hosted by JerseyConnect. View the IMLS funding by state report - New Jersey (PDF 1.04 MB) with additional information about all IMLS funding for this state (FY 2011 – FY 2016). Goal 1: Information Access - All New Jersey residents will have convenient access to quality information resources in a format that they can use to achieve their educational, occupational, and personal/recreational goals. Goal 2: Institutional Capacity - All New Jersey residents are served by local libraries that are technologically advanced and that employ knowledgeable, community-focused staff members who incorporate the best professional practices to deliver high quality library services. Technology support to libraries, including website, email, and ILS hosting, managed Wi-Fi, cloud storage services, and consultations. Goal 3: Lifelong Learning - All New Jersey residents have an opportunity to reach their full potential and to participate in and contribute to their communities.